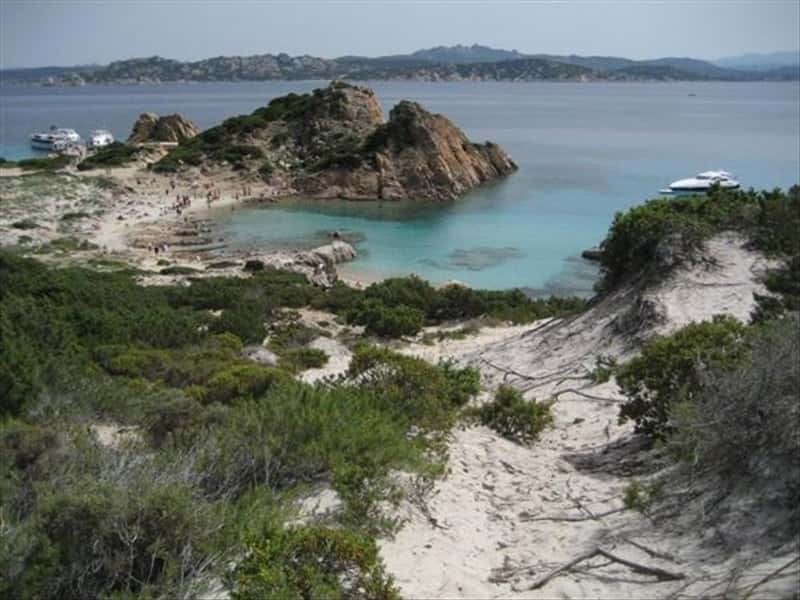 Island in the province of Olbia-Tempio, located in the North-eastern corner of Sardinia, just off the Costa Smeralda. It is the third largest archipelago and probably the most isolated. Inhabited and characterized by white sand beaches, it is part of the Maddalena Archipelago, composed of about sixty islands, between isles and islets. These areas have remained uncontaminated by the low presence of settlements and due to the fact, that since 1996, the archipelago is a National Park. The beautiful colored sea, the coast eroded by the forces of the winds and the sea, ideal for scuba diving, attracts tourists from all over the World, even though Spargi has no touristic facilities. The archipelago was inhabited in the Prehistoric Ages: in fact, on the island of Santo Stefano traces of a settlement of the Neolithic age have been found, while on the seabed, along the coast, there are several shipwrecks and visible signs of Roman military installations. During the Middle Ages the islands were involved in a major depopulation due to the continuous raids of pirates. Only in the XVII century, these territories were repopulated by farmers, thanks to the ideal conditions for animal breeding. Domain of the Savoy, it was attacked in 1793 by French troops, who were defeated by the determination of the local inhabitants. During the First and Second World War, several fortifications were built, whose ruins are still visible today. This town web page has been visited 15,396 times.